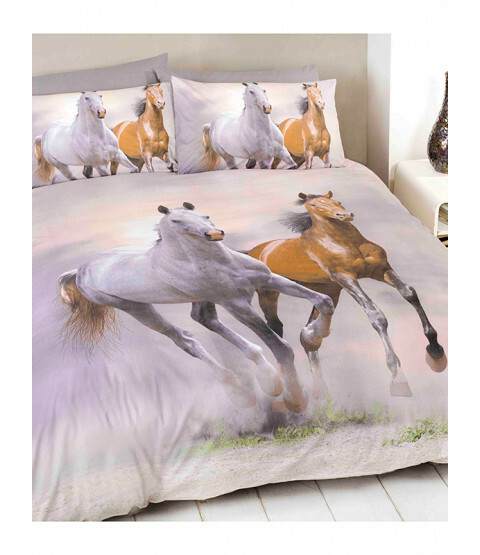 This stunning Galloping Horses double duvet cover set is ideal for any horse and pony fans. 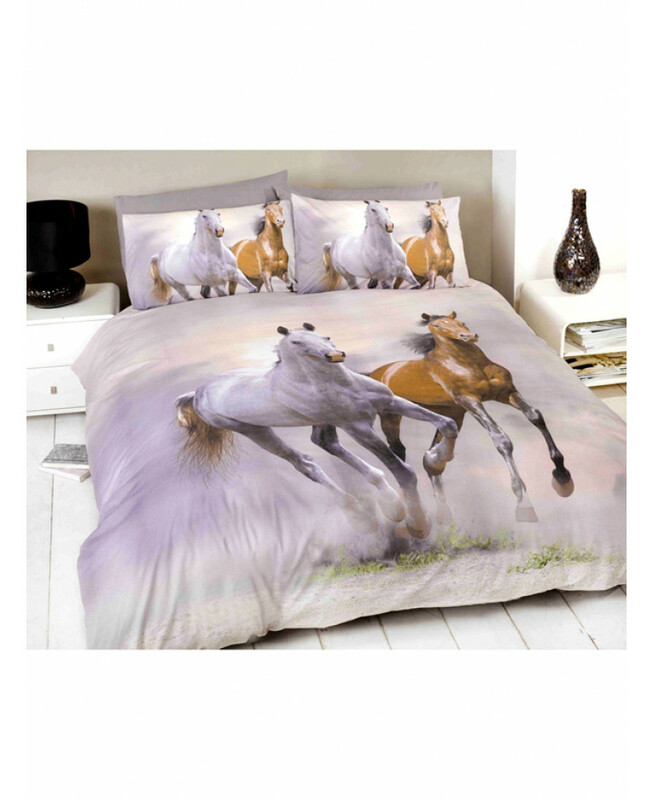 The design features a fantastic image of beautiful wild horses galloping through a field which has been carefully printed onto soft, easycare fabric. 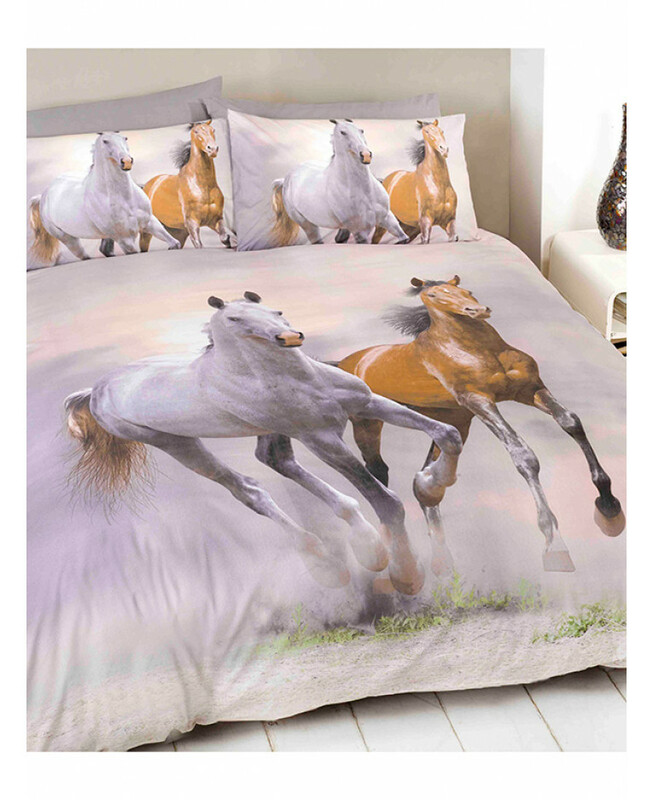 This bedding set is suitable for machine washing and tumble drying on a low setting.